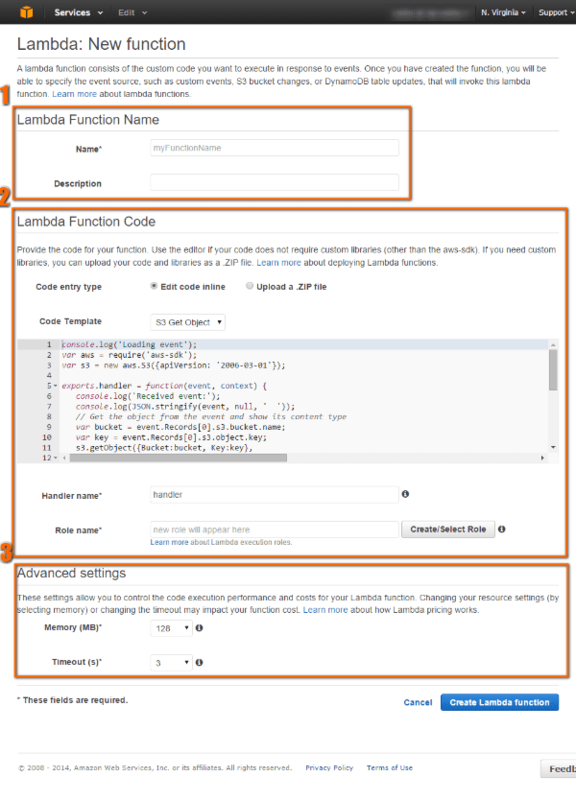 After you upload your custom code to AWS Lambda, we refer to it as a Lambda function. A Lambda function consists of code packaged in a .zip file, including any dependent libraries. Each Lambda function also has associated configuration information such as name, description, and run-time requirements like memory allocation. If your custom code requires only the AWS SDK library, then you can use the inline editor in the AWS Lambda console. Using the console, you can upload, edit, and invoke your code. The console will zip up your code with the relevant configuration information into a deployment package that the Lambda service can run. If you are writing code that uses other resources, such as a graphics library for image processing, or you want to use the AWS CLI instead of the console, you need to first create the Lambda function deployment package, and then use the console or the CLI to upload the package. AWS resources your custom code needs—If your custom code uploads a new object to an Amazon S3 bucket make sure that the bucket exists. Permission considerations—By default, all AWS resources are private. Only a resource owner (the AWS account that created the resource) can access the resource. So keep in mind that when your Lambda function executes, it will need permissions to access whatever AWS resources it needs. You grant these permissions to AWS Lambda via an IAM role (referred to it as “execution” role). For more information, see Component: Execution Role.